Yes, I’m getting a new computer. It will be a Mac. Also, I need a manicure. Seth works at Apple. His job is the whole reason we made the move from Cincinnati to Silicon Valley two years ago. 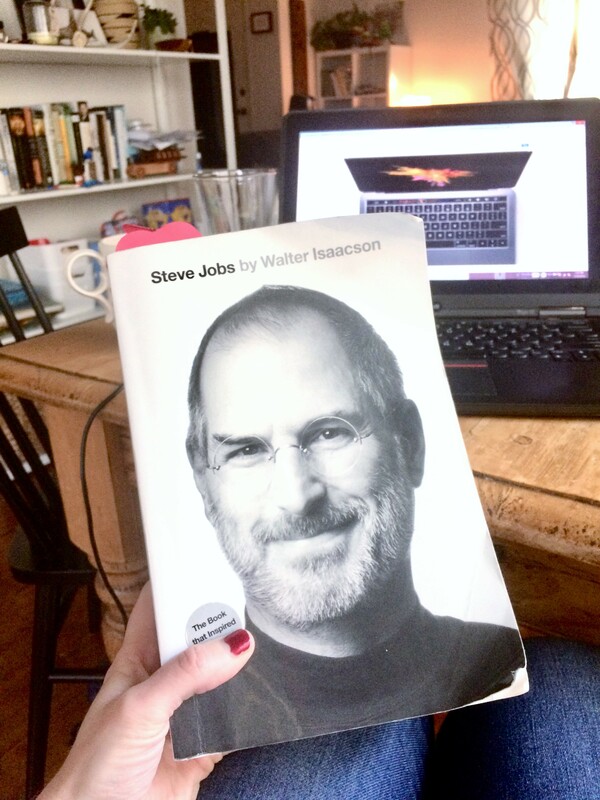 The Christmas before we headed west, I gave him Walter Isaacson’s Steve Jobs biography. I thought it would be good for Seth to get to know the person who built the company we were uprooting our lives for. Of course, there were many other people who built the biggest company in the world, but Jobs unquestionably shaped the culture and purpose of Apple. I picked it up a couple months ago and have been slowly making my way through its almost 600 pages. Slowly because I want to savor it – I’m enjoying it so much! 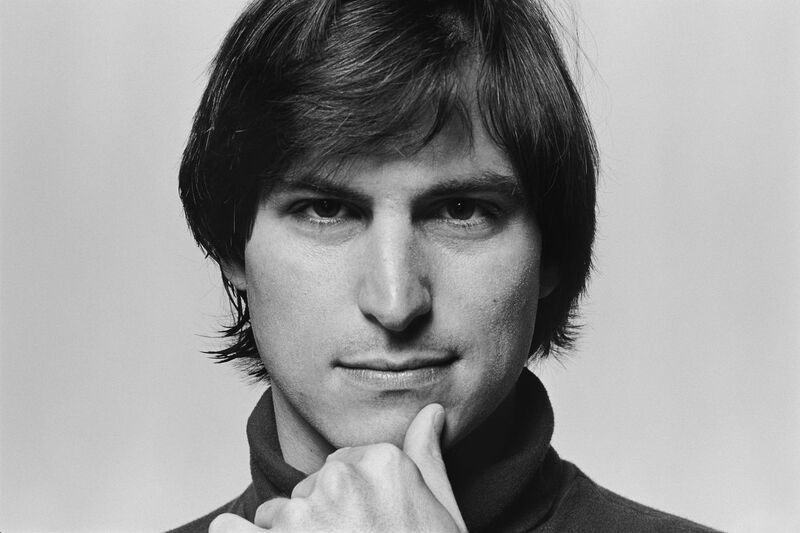 Steve Jobs was a polarizing personality – people either loved him or hated him. Even some people who respected him deeply, didn’t like him very much. But, he built two amazing companies – Apple and Pixar. And those companies have shaped how the world interacts with technology and entertainment. It’s actually staggering to think of all the areas Apple has reinvented – personal computers, music, phones, and photography. Pixar reinvented animation. Who knows what’s next if Apple continues to be unwavering in their commitment to combining art and technology. Whether you see Jobs’ influence as for the good or for the bad, you’ve got to props to the man for all he accomplished in his relatively short life. Beyond the corporate history, though, there have been a number of points that have hit home as I read. I thought I’d list my top five here, and maybe they’ll encourage you to pick the book up yourself. Jobs’ father invited young Steve into his work and hobbies. Jobs often mentions the cabinets he helped his father build – as much time and precision was dedicated to the back of the cabinets as the front. Good design incorporates all pieces of the product, whether or not those pieces are seen. Early lessons such as these shaped Steve’s singular obsession with perfection in the design of Apple products. I hope as Seth and I invite our boys into our works and hobbies, they will be similarly inspired to approach their work with respect and excellence. Jobs grew up in Silicon Valley. (I won’t even tell you how much his parents bought an Eichler home for in the 60s…I teared up with jealousy when I read that number…) The people and culture of the area shaped him. He was involved in a lot of educational programs offered by tech companies such as HP at the time. I realized there are lots of opportunities for my boys to be influenced by the innovation around us. What kinds of cultural gifts does your community have that you can introduce you kids to? Jobs was strongly influenced by art, particularly music. Bob Dylan’s music was a constant source of inspiration throughout his life. A CD of The Beatles’ Strawberry Fields recording session was one of his prized possessions, because he said their commitment to perfection in their art was evident. You can hear the improvement, nuance, and musical complexity progress as they work through each take of the song until they were satisfied. He claimed Yo Yo Ma’s music was the one thing that caused him to consider there may be a God – because a human couldn’t create such beauty alone. I want to seek out art to make me a better person. This makes me wonder how my personality and tendencies shape the cultures I influence – in my home, work, community, and church. This one was particularly interesting to me, as we’re thinking about buying a house. I also love design, so Jobs’ intentional approach to design in the Apple and Pixar corporate headquarters and Apple stores was fascinating. He didn’t scrimp on the materials (which is a priority you can set when you’re making billions of dollars in revenue…) He also was very thoughtful in considering the layout of the spaces in regards to the culture he wanted to create. At Pixar, for example, he designed the space to force people to interact with their colleauges . This created a space for people to have conversations with other employees they may never have taken the time to speak with. The physical design of the space fosters creativity – a core value at Pixar. Am I that thoughtful about the spaces I create? Of course, Jobs also had a hard time furnishing his own house. He lived in a sprawling mansion in the Woodside hills for years and was never able to furnish it. He was so obsessed with making the perfect decision for the space. I can totally relate…I have such a hard time pulling the trigger. Any suggestions for me? I’ve really loved Walter Isaacson’s writing, so I want to pick up a couple of his other biographies. Because of Hamilton, I’ve had this biography on my list for a while. I’d love to add some women to that list. The biographies of Jane Addams and Corrie Ten Boom have been influential at other seasons in my life. I’d love to hear of some you’ve found inspiring!